You’ve spent a lot of time shopping for the perfect property. You made an offer, held your breath and – hooray! – you got the home! But now you’ve realized that you have to move in four weeks – and you’re far from prepared. A reputable moving company. Start looking into moving firms right away to ensure you pick one that’s reputable, timely and will do a good job. A contractor. Your new home may require some repairs and renovations that you want to get done right away. Insurance. This is an easy detail to overlook. Don’t. Insurance costs can vary widely, and you want to make sure you take the time necessary, well in advance of your move, to select the right policy from the right company. 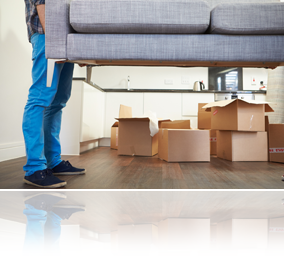 Getting these things in place in advance of your move will make the entire process go more smoothly. If you are considering moving anytime soon and need information about local business that can help you in these areas, feel free to contact us and we'll be very happy to provide it to you.